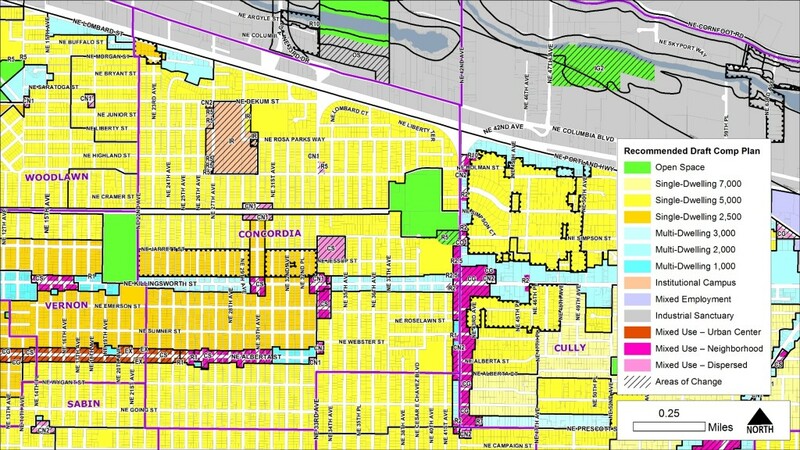 Nan Stark, City Planner / NE District Liaison for the Bureau of Planning Services (BPS), will be in the McMennamins Kennedy School Community Room from 4:30 – 6:45 pm on Wednesday March 16th to talk with Concordia property owners who received Measure 56 proposed R5 to R2.5 zone change notices. These proposed changes will also be discussed during the monthly CNA Land Use & Transportation Committee (LUTC) meeting that follows from 7 – 9 pm. Click here to join the LUTC notification list.